First of all I want to thank you all for being a part of the growing Twin Flames 11:11 community! Unfortunately I get so many emails and messages from Twins every week that I don’t get the chance to respond personally. I do my best to answer here on the blog to help as many Twin Flames as possible, so if you have a question you’d like answered please email us with the subject Q&A Question or leave your comment below. And if you’re struggling right now, please don’t give up – I’ve seen things change dramatically for the better for so many! No matter what’s happened before or how hard things feel for you right now, know that there are solutions and answers, and things really can change for you! 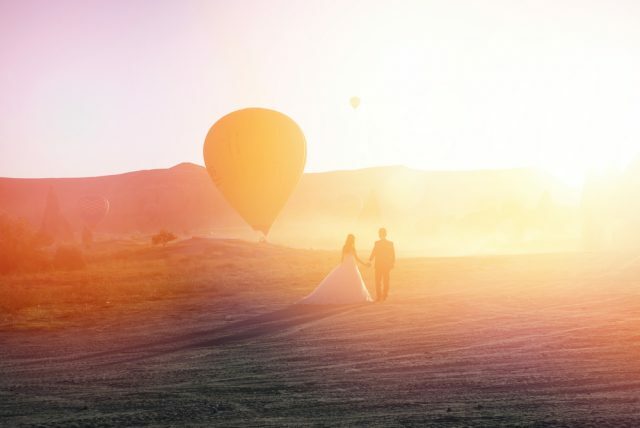 You will feel a shift for the better within yourself – and it helps to open up your Twin Flame connection to harmony again. Throughout our human lives, we are raised to see one version of the world. Realism, based on others’ standard experiences. When we enter into Twin Flame Awakening and Ascension, however, we are brought face to face with the truth that things are not always how they seem. We begin to encounter the realm of souls, the realm of the infinite. Most Twins’ meetings contain elements of what other “regular” people would call the “supernatural”. But be careful you don’t forget about this as your journey progresses and you become accustomed to it. Don’t forget how significant it is. Because it doesn’t have to stop there. We are on a journey from the limited human world back to the infinite. There is always more to come. Be open to it. Twin Flames are always being called on to reevaluate what is possible. The truth is, everything is possible. Twins are being called on to be leaders in this respect and many will deliberately be shown experiences and connections that defy anything the “mainstream” could ever explain with current theories. On your journey, be mindful of not getting dragged back into the limited, “realistic” world. That will only block your journey’s unfolding. Don’t get tangled up in the collective energy fields, as they will only hold you down, anchor you into more of the same “regular” experiences of conflict and frustration that most human beings experience. 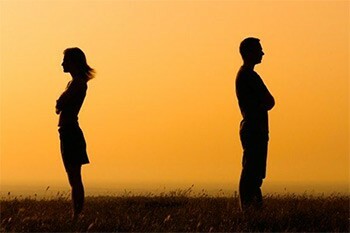 Did you know that 50% of all US marriages end in divorce? Hopelessness, conflict, fear, loneliness, guilt, comparing ourselves to others… Society is full of people focusing (with the “help” of tv, news, advertising and other people) on problems, limitations… what they lack rather than what they have to be grateful for. When we align with something, we invite more of it in. We are energetic beings and always interacting with the energies of those around us. So don’t lose sight of your big picture. Don’t lose sight of the “magic” that brought you here in the first place. 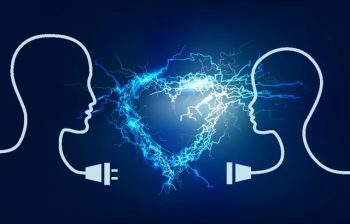 To begin lifting off the layers of human limitation and negative inherited patterns, have a look at the Complete First Energy Clearing Session for Twin Flames. It’s perfect if you’re new to energy healing or want to uplift your journey – we go through clearing the most common belief blocks and stubborn programming that keeps Twins locked in struggle, and infuse you with new light. Go here to discover more. How you feel about yourself is a key determiner for how others will react to you, above all your Twin Soul. Try holding your hand on your heart and saying “I love myself” and see how you react. If you feel icky about it, there’s a clear sign something is going on inside. Somewhere, for some reason, you feel like you’re not allowed to love yourself or that you don’t deserve love. This greatly impacts your Reunion process. If we are in a space of negativity within ourselves, feeling not good enough or like good things never happen to us, these are effectively shaping our energy to block Unconditional Love and Reunion. You do deserve love, you deserve to be unconditionally accepted and treasured for exactly who you are. But if you don’t feel it, your energy won’t allow it. It will be blocked, by default. A key realization for all Twin Flames is to understand that love is out there and inside you already. Love isn’t something we have to be given from another. It’s inside of us. We come from love. Start shifting your vibration so you come into range with it. If we’re on a low frequency, we’re out of tune with Love. It’s there, but we can’t feel it. Shift your energy to open up to it once more. 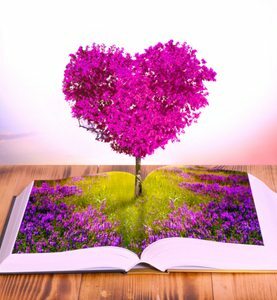 To open up and really experience the energy of love, try my Free Twin Flame Help Kit which contains energy clearings from the full program here. It will clear out congestion and negativity from your space and infuse you with new light, lifting you up into love. Know that you never really need someone else to take care of you. If that’s your belief, you’ll always attract disempowerment. The need for love and the fear of losing love are human illusions based in survival. The Twin Flame journey is a spiritual one above all, and as souls we are never separate from love. We just think we are. Love is who we are, it’s inside of us. We don’t need to go chasing for it. You can always access your Twin’s love from the inside out this way. To do so, go within. Find the spark of their soul that was hidden in you all this time – and know you are there with them, always present. unfolding between you and your Twin. Loving yourself is downright essential – but most of us grow up with the opposite habits, of self criticism, self doubt, self loathing. Take a few minutes and apologize to yourself for any harsh judgments you may have made along the way. You didn’t deserve you to be so hard on yourself. And if you’re still not feeling whole on your own or good enough on your own, there might be some work to be done on the inside before things can fall easily into place on the outside. In order to live as our authentic true self and activate the Twin Flame Soul Song, we have to find out who we really are – this is a big part of the Twin Flame Ascension process, to peel back the layers and discover what’s there underneath it all. Your True Self is magnetic to your Twin Flame. Being true to your authentic self might sound simple, but for most of us it’s way more complicated than it seems. Our souls are always pushing us to look within and ask: What makes your heart beat faster with excitement? What fires you up? What would you do with your life if money was no object? Who would you be if no one else was around? Often it takes a challenge to really snap us out of our habitual views of ourselves, but when that challenge shows up and you’re faced with a big enough choice – you bet you’ll remember who you are and why you’re here. And more often than not, it’s your soul self who arranges these challenges so that you will finally wake up to the truth. This is what “lesson learning” is all about. The journey for Twin Flames is meant to bring the bliss of unconditional love into the physical – that’s our legacy. The conflict and drama and struggle is all a part of the human paradigms we are here to break through, to leave behind. For your soul, everything is a learning experience. It doesn’t see categorical “right or wrong”. It’s all just an experience. A choice. A preference. It might sound cruel but our Universe is one of Free Will – we can choose to hurt others, or we can choose to love. Your soul respects someone else’s right to experience how it feels to hurt, what effects that has on them and others. To learn that lesson. Our souls are waiting for us to realize and align with the fact that what we do to others always impacts us back, because we are all beings of energy. What we send out, is what we activate in ourselves. What we do to others, sets the tone for what we attract back. Especially when it comes to Twin Flames. Often, Twins’ souls are sitting back and waiting for them to realize that there is no real opposition in the pair. If you are sending blame to your Twin, you are casting it onto yourself. If you had been born in their stead, you would in essence be them, and if they had been born in your stead, they would in essence be you. As always, your heart and intuition knows what serves you best personally. If something feels heavy or negative, take a step back. If there’s a conflict of interest, try to discuss this calmly. You can be honest about how you feel yet be open to another having a difference of opinion. No one is “right” or “wrong” in spiritual terms – it’s a matter of perspective. We are being reminded that we have a choice whether to flow along with whatever is around or to take an active hand and decide what to feel, what to focus on, what to create, what to believe. Spirit’s message is: the world is full of energy and potential experiences. Both “good” and “bad” is available to us at all times. For your souls, this is a part of the magic of the journey. To be able to help us see beyond the human perspectives and to know that there is light in every person. That behind every human action lies a desire for love, no matter how deep it’s been buried. The core motivator behind all our actions is either coming from a fear of losing love, or trying to gain love. Know this, and look again at your situation. Can you see beyond good and evil, right and wrong? Love is an action, a feeling, an energy, an interaction. When we become focused on merely talking about love, with others than who we’re wanting to love and be loved by – we’re distorting our connection. Love between Twin Flames is alchemy. If you can’t communicate with them person to person, then go to their soul. Talk to their higher self. Interact with them, let them embrace you, hold you, love you, show you what’s going on. Love should happen between you and your counterpart, not be a hobby to be discussed with friends and acquaintances. Relationships where either person is more closely involved with outsiders than their counterpart are rarely satisfying. Open up. If you’re afraid, then even more reason to open up – because fear is a block. Allow your Twin Flame’s infinite self to love you. Show them how you feel. Step away from the analytical mind and the human desire to “figure out love”. Love is something we do and feel. You can’t think your way to love. Can you sense it? To merely think about love is like a cardboard cutout. It’s the feeling, the energy that makes us glow with happiness, that lifts us up. The *experience* of love is like stars exploding, butterflies of light in the dark. Do, act, feel, send, sing, enjoy more love! It’s waiting for you to unlock your whole experience into a higher dimension. Did you know that most Twin Flames’ struggles are rooted in negative karma and energy blocks? To find out more about how to shift your Twin connection into harmony, have a look at the Vibrational Alignment Program for Twin Flames here, and read about other Twins’ amazing experiences with these methods. This is set to be a year full of transformations. Sign up here to get the Full Yearly Twin Flame Energy Forecast for Free!